John Carpenter's inimitable sci-fi horror classic concludes with one of the most brutal and enticing cliffhanger endings of all time. The two remaining survivors at the Antarctic research facility, MacReady (Kurt Russell) and Childs (Keith David), have burned the camp down, hoping that it might kill or contain the titular alien parasite. The film's final moments see MacReady and Childs sat in the snow watching the camp aflame, each quietly, intensely suspicious of the other but in no condition to do anything about it. Before we fade to black, they share a flask of scotch, seemingly accepting that whether or not one of them is The Thing, they're basically doomed. It's a literally chilling, nihilistic ending which leaves the real location and identity of The Thing totally up in the air. 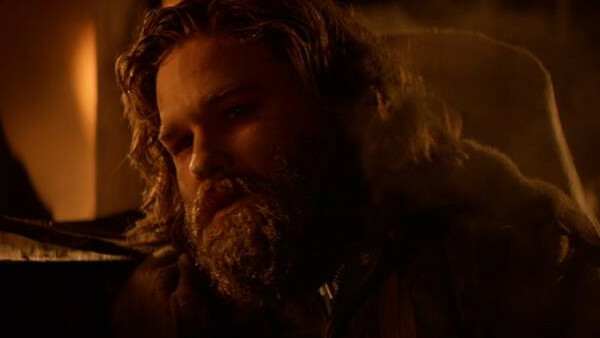 A popular fan theory suggests that MacReady replaced the scotch with gasoline to test Childs, and his lack of a reaction to the gasoline would seem to confirm that he is in fact The Thing. The theory has been rubbished by Kurt Russell, however, and Carpenter has flat-out stated he never wanted to imply an answer either way. The more fitting ending, really, would see neither of the men playing host to the creature, with their paranoia instead condemning them both to bleak deaths.